Nexuiz is a free online shooter developed by Alientrap. A new version of the shooter has been released today and is available as a download (around 200 megabytes) from the developer's homepage. 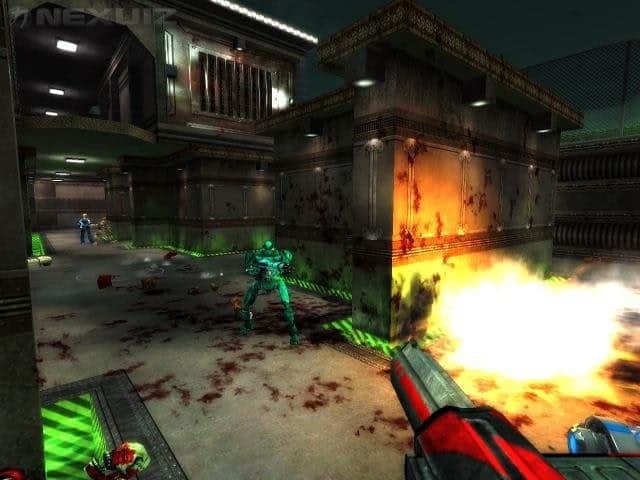 The game Nexuiz is a classic Deathmatch Shooter like Quake 2 and Unreal Tournament. This means that unlike modern shooters, it is a fast paced game in which there are no different classes available and weapons are picked up instead of unlocked or selected before each game. The graphic and visual style of the game is great considering that it is a free game. First versions of Nexuiz were originally released in 2005, and independent contributors added to the project in the coming years. In 2009, Nexuiz 2.5 was released which has been downloaded more than six million times since its release. Interestingly enough, Nexuiz is not only available for Windows but also for Mac and Linux. The game has received continuous updates since then, and is now available as version 2.5.2 on Sourceforge. It needs to be noted that this community project is now referred to as Nexuiz Classic by many, as the game has been remade for Xbox Live Arcade, Playstation Network and Steam (where it needs to be purchased before it can be played). The remake, unlike the original, was a commercial game, and while not full priced, it caused some uproar among some of the developers of the free open source version of the game. Here is a video of the latest classic version of the game. Note that it looks and plays a lot like classic ego shooters of the past. It is fast paced and difficult to master, unlike modern games such as Battlefield 3 or Call of Duty 4. You will find a handful of servers with players, even though it is usually the same people that still play the game, and those who do are usually very skilled in the game. New players may feel some frustration especially during their first matches when they play to get to know the weapons and map layouts, but that is the case in most games. Game controls use a classic scheme by default which you can change in the game's settings. You control the player with WASD to move around, use the mouse to aim and shoot, and other keys such as space to jump. I suggest that you start a couple of bot matches first to get accustomed to the game before you join public servers. It is likely that you will get stomped on those servers quickly and without mercy so better be prepared for some lessons before you start climbing the leader board. A free alternative to it is Team Fortress 2. While not as old-school in terms of game modes, it is free to play and offers a lot for that. You can play CTF and several other game modes and enjoy this polished modern game.